It's summertime! Summer is the perfect time for swimsuits, outdoor grilling, throwing Frisbees, and contracting dangerous untreatable viral infections. West Nile is a virus that is transmitted by mosquito bites. Four out of five people infected with West Nile Virus have no symptoms and never feel sick. About one in five infected people develop fever, headache, body aches, vomiting, or a rash. Less than one in a hundred will develop serious neurologic complications such as inflammation of the brain or inflammation of the tissues that surround the brain. Some of those people will have permanent neurological deficits, and some will die. The Centers for Disease Control and Prevention (CDC) issued a press release warning that more West Nile Virus cases were reported in the U.S. this year than at any time since 2004. 241 cases have been reported this year, including four deaths. Most of the cases have been in Texas, Mississippi, and Oklahoma, but a handful have been in California. There is no specific treatment for West Nile Virus infection, and no vaccine. So the only way to battle this illness is prevention. 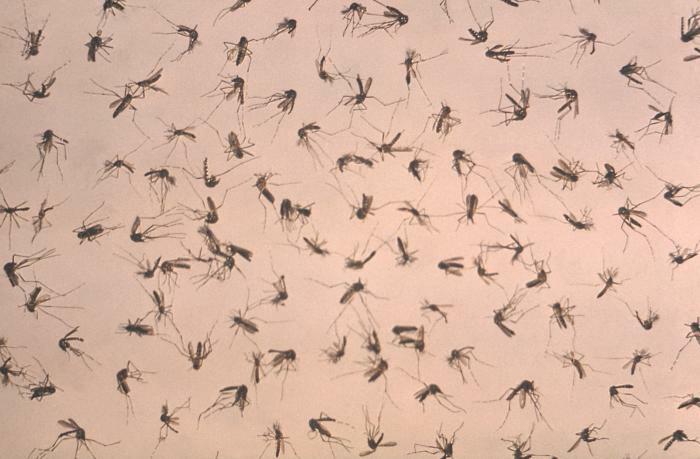 The CDC information page on West Nile Virus has some useful common sense advice about avoiding mosquito bites and eliminating mosquito breeding sites. They suggest the following. --Use insect repellents when you go outdoors. --Wear long sleeves and pants during dawn and dusk. --Install or repair screens on windows and doors. Use air conditioning rather than leave unscreened doors or windows open. --Empty standing water from items outside your home such as flowerpots, buckets, and kiddie pools. So stay away from mosquitoes this summer. Because this advice is about all we can do for West Nile Virus.